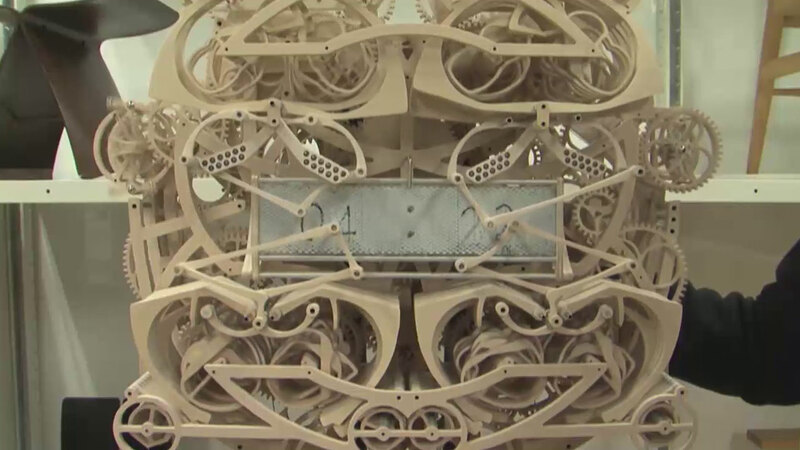 A Japanese college student built a mechanical wooden clock that writes out the time every minute. The clock keeps ticking with the help of four weights and has no electrical parts. Kango Suzuki posted a picture of it on Twitter and it's been retweeted 100,000 times. Suzuki has been flooded with job offers and said he's still perfecting the clock, but hopes to have it ready for his final school project.